Today, John Gordan SC, appearing with Bruce Antoniotti S, John Nolan Bl instructed by Kenty Carty Solicitors, for Fedigan told Justice Bernard Barton that following out of court talks between the parties the action had been resolved. Counsel said that case could be struck out. No further details of the settlement, which are understood to be confidential, were given to the court. The State defendants, represented by Eoin McCullough SC, Declan Buckey SC, Garreth Cooney BL and Joe Jeffers Bl, had denied negligence or were liable for any injuries suffered by the plaintiff. The defendants had also argued that Fedigan had delayed in bringing his claim, meaning that his action was statute barred. Justice Barton welcomed the settlement. 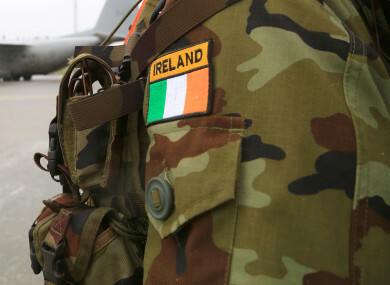 In his action, Fedigan from Lobinstown, Navan, Co Meath claimed that he was prescribed Mefloquine Hydrochloride (Larium) when he served in Eritrea in 2001, Liberia in 2002 and Chad in 2010. He further claimed that the defendants failed to provide him with a safe system of work, and exposed him to risk of injury which they ought to have known. He retired from the Defence Forces in 2013. The case, had it proceeded, was expected to take up to ten weeks to hear. Email “Former soldier settles case over health problems he claims were caused by anti-malaria drug”. Feedback on “Former soldier settles case over health problems he claims were caused by anti-malaria drug”.